Sweeney Todd: The Demon Barber of Fleet Street in Concert! Conceived, written and composed by Brooklyn playwright Sarah Galante, who has worked with The Playwrights Center, Women's Playwriting Cooperative and Philadelphia Women's Theater Festival. "Baby Can't Speak" follows Tag, a newly sober/queer/scared theater artist and their drag persona, Saint MonicAA. Through cabaret-style songs, audience interaction/intervention, interruptions from a playwright who can't keep her opinions to herself, and the eventual dismantling of a character they've grown to depend on, Tag learns that making art, sober, is really hard. Fun Home is a musical told from the perspective of a 43-year-old Alison as she dives deep into her past to tell the story of her father, a volatile, brilliant, one-of-a-kind man whose temperament and secrets defined her family and her life. 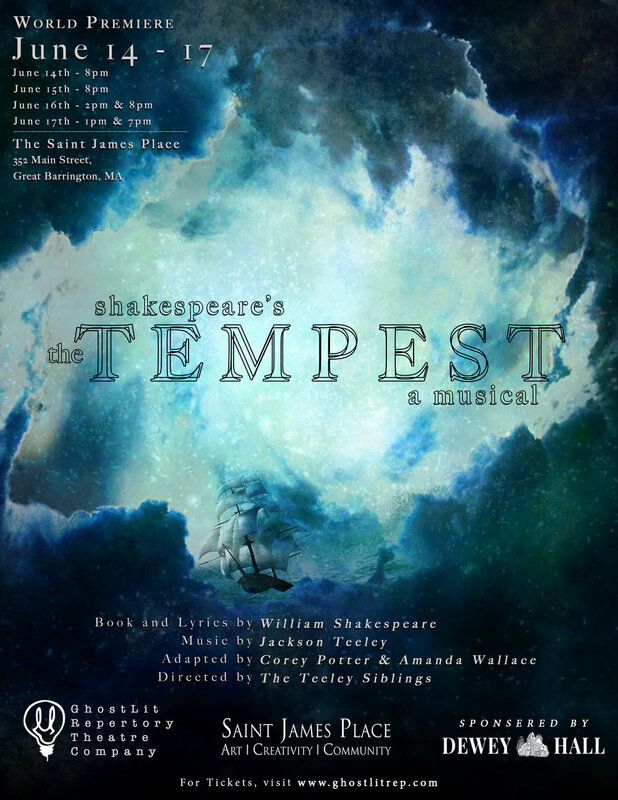 This original adaptation had its world-premiere workshop in spring, 2016 at Emerson College and will now see it's fully staged world premiere at St. James Place in Great Barrington. Originally adapted by Corey G Potter, Amanda Rose Wallace, and Jackson Teeley. 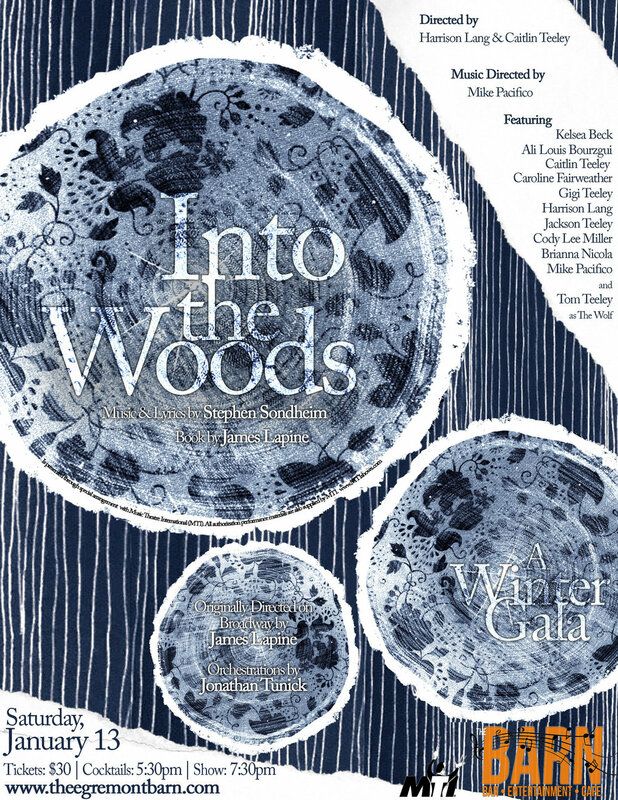 The team who brought you Spring Awakening at The Egremont Barn present a classic evening of theatre, drinking, food and frivolity with a concert version of Stephen Sondheim's timeless classic, Into the Woods! This evening marks the first step of the exciting process of forming a non-for-profit theatre company that strives to excite and inspire young performers through art and theatre. The world premiere stage-workshop production. What We Were is a stage adaptation of the 2015 short film by the same name created by Jackson Teeley, Corey Potter and Wilder Bunke. This world premiere workshop featured the original three songs from the short film, plus an expanded score with music and lyrics by Jackson Teeley, and an original book by Jackson & Caitlin Teeley. What We Were deals with woven moments from the past and present, as a pair of siblings must learn to let go of their former selves in order to navigate their current situations. With the assistance of old friends and blurred memories, they set out to define what home means once you've left it. Jackson Teeley is a talent the Times Square Chronicles has called "a welcome new arrival onto the musical theatre scene." Winner of eight Tony Awards®, including Best Musical, Spring Awakening explores the journey from adolescence to adulthood through what Entertainment Weekly called "the most gorgeous Broadway score this decade." With an illuminating book, and poignant lyrics by Steven Sater and score by Duncan Sheik, Spring Awakening is a thrilling blend of morality, sexuality and rock and roll that has been rousing audiences across the nation for years.